Art critic, Deputy Director General for scientific work of the National Museum of Ukrainian folk decorative art, winner of the Stefan Taranushenko all-Ukrainian Award. She graduated from the Kyiv State Art Institute (now NAOMA) in 1972. The Museum has been working since 1973. 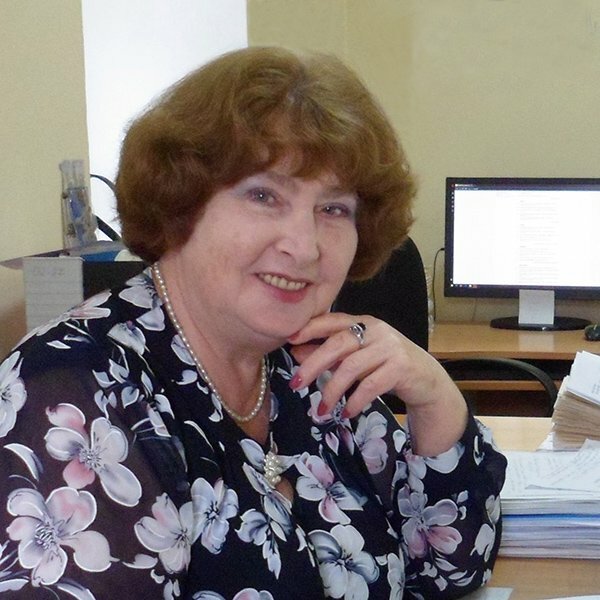 She is the author of more than 100 scientific articles and publications on the history of Ukrainian art. 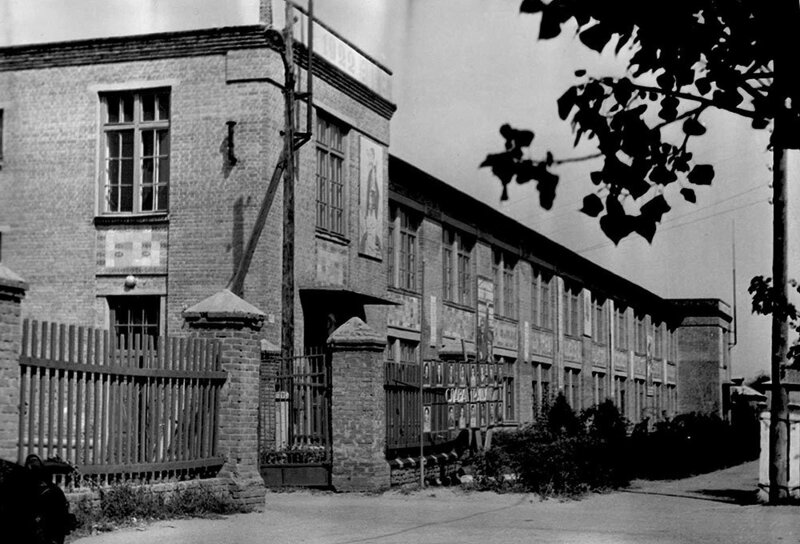 The industrial artel called “Rose” (spelled as “Troianda” in Ukrainian) was created in the city of Reshetylivka in Poltava region in 1922 on the basis of the workshop-school, opened in 1905 on the initiative of Poltava provincial Zemstvo. 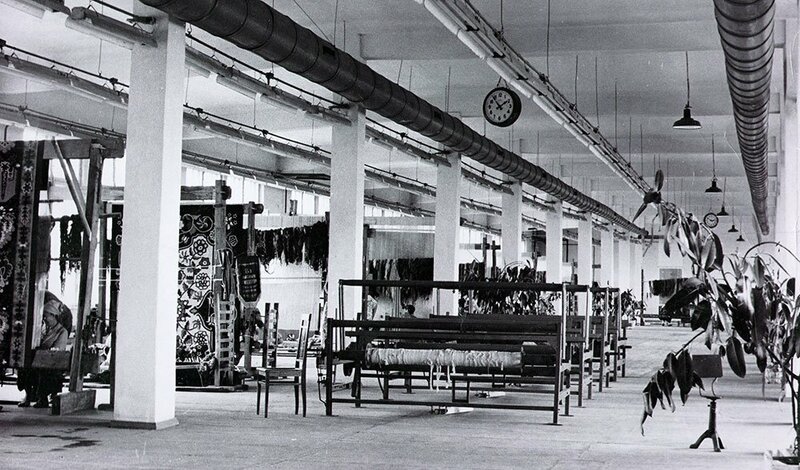 In 1926, it transformed into an artel, which carpets became the hallmark of carpet production in Ukraine. They were successfully demonstrated at exhibitions in Paris (1925) and Leipzig (1928). Subsequently, on the basis of the farm, a factory named after Klara Tsetkin was opened. Years of prosperity for the company were 1950s-1970s. The products of the factory decorated the interiors of public buildings, they were exported abroad (to India, China, Bulgaria, Romania and Hungary) and exhibited in Leipzig and Brussels (1958), Damascus (1959), New York (1963), Montreal (1968) and Osaka (1970). The style of Reshetylivka plant carpet weaving formed over several centuries is based on the principle of building an ornament with a picturesque background solution and it tends to the compositional motifs of ancient peasant carpets. The scenic decision of background is evident in the specific weaving "stinging" technique. The most common scheme is the rhythmic placement on the field of individual motifs in the form of multidirectional broken branches with flowers and leaves straight or oblique (staggered) rows. 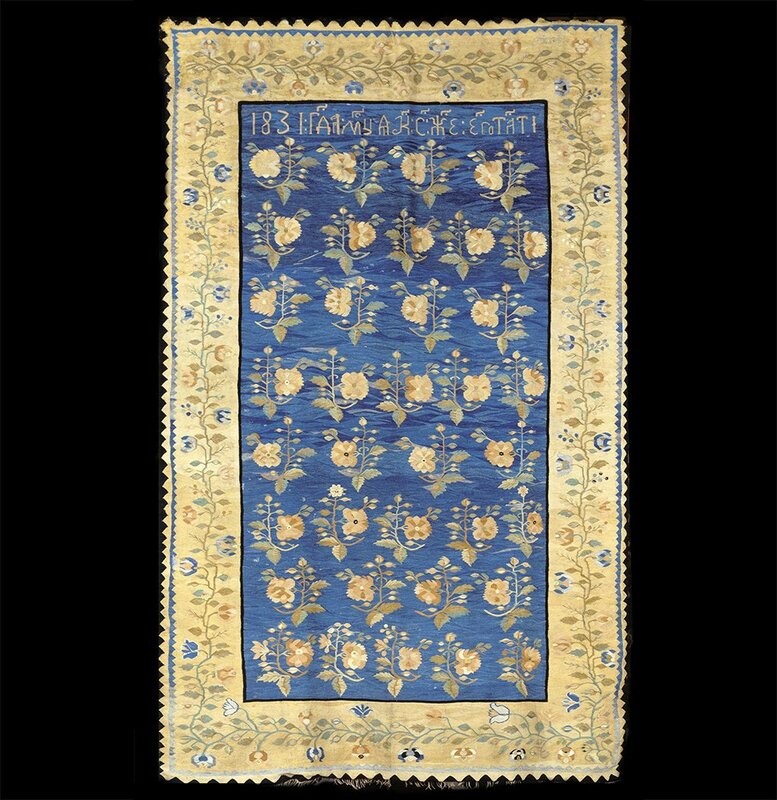 Reshetylivka carpets have a distinctive stylization of plant floral motifs, based on the influences of Eastern ornamentation. The background of carpets contains floral ornament or it may be plain, or it has different shades of the same color, the reason for this is the uneven coloring of the yarn and the specifics of the "rounding" technique, when the threads of the surrounded ornamental motifs lay down in wavy lines. Sometimes the ornamentation contained conditional images of birds among the branches and bouquets of flowers that fill the empty space, balancing the composition or present in flower motifs. One can often see the image of a Pelican bird (a symbol of self-sacrifice), which feeds the chicks with its body. The lush ornamentation of vegetable and animal forms prevails in the so-called landlord's carpets. 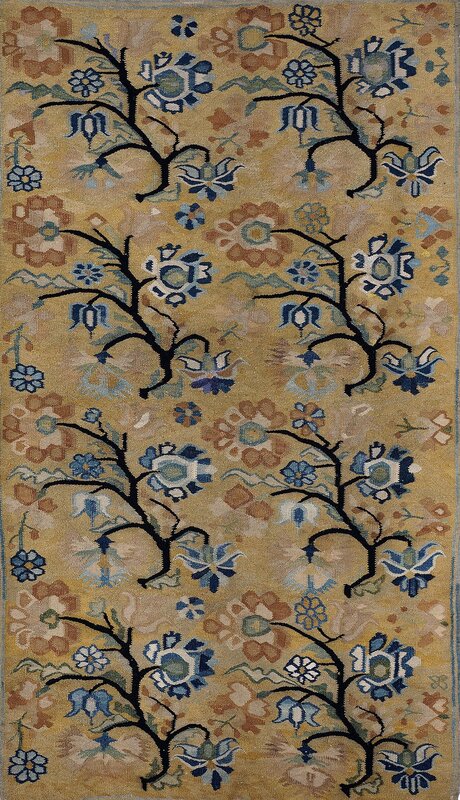 The traditional plot of such carpets is the motif of the tree of life that sprouts from the ovary or flower pot or basket. Flower branches synchronously spread from the central stem, and a large flower or inflorescence completes the top of the tree. 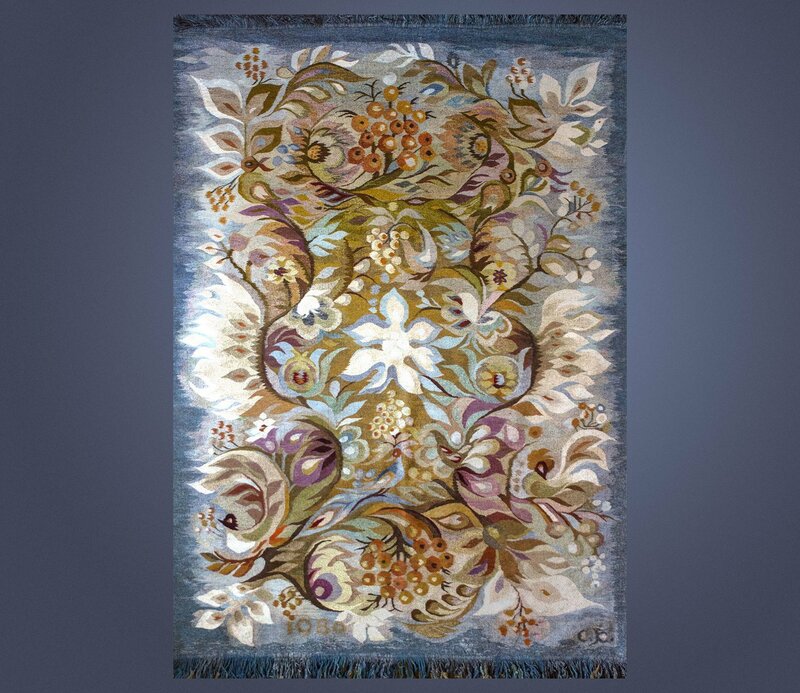 So-called "Baroque" was also made, the carpet pattern has the appearance of a large stylized floral forms that branches out across the field symmetrically from the center. The middle part of the carpet is distinguished by a bent strip with curls (cartouche). The coloring of Reshetylivka carpets is reproduced in soft and calm gradation. Mainly carpets with blue, golden-yellow or black background, at least-with white, gray, green and brown background prevail. Carpets are made on vertical looms (krosna) with “rounding” (“scalloping”) technique. 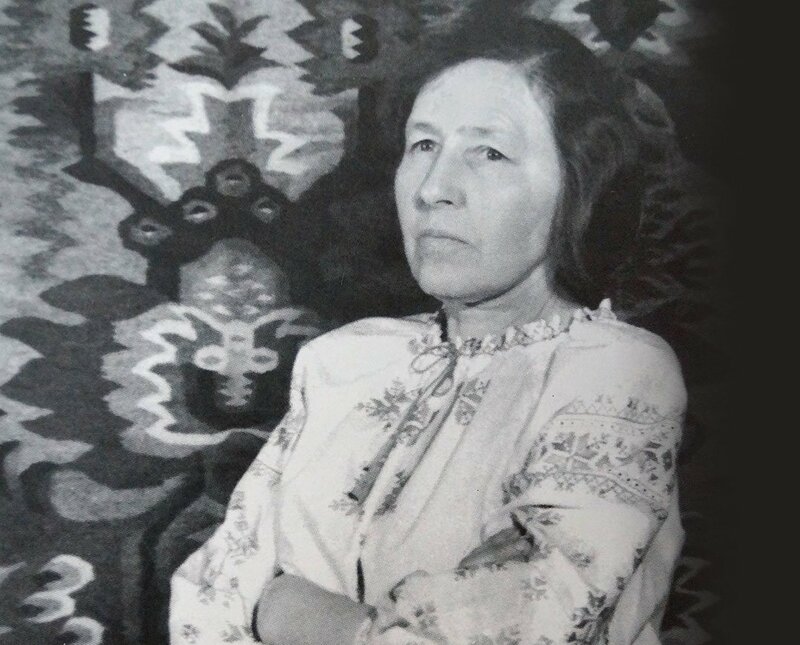 These were the words that a well-known skilled carpet-master Natalia Vovk often heard from her mother. A whole cohort of talented craftsmen worked at the Reshetylivka factory. For more than 40 years it was headed by Leonid Tovstukha. Nadiia Babenko worked as the main artist of the factory for a long time. The author's style of the master is easily recognizable in the riot of flowers, plants and branches. Her carpet "Tree of life" (1969), given as a gift from Ukraine, adorns the Blue hall of the main headquarters of the United Nations (New York). Leonid Tovstukha and Nadiia Babenko together with Hanna Bondarets and Domna Yefremova in 1986 became laureates of the state (now National) Taras Shevchenko prize of Ukraine. Since 2005, the carpet by Leonid Tovstukha "Born by the native land" has found its place in the hall of the Council of Europe in Strasbourg. In modern Reshetylivka, a home workshop of the artistic family of Piliuhin, a craft workshop "Solomiia" of Serhii Kolinchenko operate. Similarly, carpet art is taught at the art and vocational school in Reshetylivka. Traditions of Reshetylivka carpet are preserved in the works of the son of Nadiia Babenko - Oleksandr Babenko. Traditions of plant carpet weaving of the settlement Reshetylivka of Reshetylivka district of Poltava region in 2017 were included in the national list of elements of intangible cultural heritage of Ukraine. Babenko A. Artwork of Nadiia Babenko in the context of regional characteristics of Reshetylivka carpet weaving and embroidery of the twentieth century // Folk art of Ukraine: history, present, prospects: collection of scientific materials of Ukrainian scientific-practical conference. K.: SE "NPC" Prioritety". 2016. p. 196-205. Bilous L. On the issues of the activity of folk art crafts of Ukraine in the twentieth century / / folk art crafts of Ukraine: history, present, prospects: scientific collection on the materials of the all-Ukrainian scientific-practical conference. K.: SE "NPC" Priorities". 2016. p. 13-32. Tykhonova L. Reshetylivka carpets in the collection of the National Museum of Ukrainian folk decorative art / / Folk art crafts of Ukraine: history, present, prospects: scientific collection based on the materials of the all-Ukrainian scientific-practical conference. K.: SE "NPC" Priorities". 2016. p. 127-133. Tovstukha L. Reminiscences and reflections (half a century in Reshetylivka arts factory named after K. Tsetkin / Reshetylivka: "Tyraxh", 2010. 195 p.
This page uses materials from the National Museum of Ukrainian Folk Decorative Art, photos by Kostiantyn Kovalenko, Pavlo Zdorovyl and Mykhailo Andreiev.